Ideal investment property. Duplex. Two Renovated units. Hardwood floors throughout. Washer and dryer in each unit. Ideal to rent to two separate tenants or both units to one group. Three outdoor spaces, a shared front porch and a huge private patio for lower unit and small deck for upper unit. 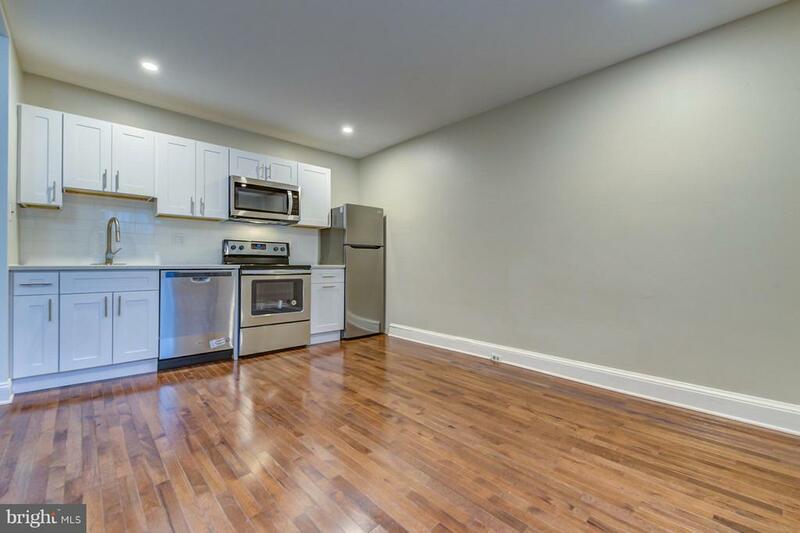 #1 is a Junior 1 bedroom with hardwood floors, brand new kitchen and bath, LG high efficiency washer and dryer, large patio, and excellent light. Exclusive use of the full, dry basement. #2 is a 3 bedroom, 1.5 bath with hardwood floors and new stainless and quartz kitchen. Three large bedrooms. Tile full bath and half bath. GE high efficiency washer and dryer. Small deck with skyline views. Spectacular location in red-hot Powelton Village. One of the Citys most convenient locations. Close to everything that University City has to offer and just 1 block from the Green Line trolley for a quick ride to Center City. 1 block to Presby, and easy walk to University City Science Center, West Market business, med, and tech corridor, Drexel, and Penn. Note--Gas is plumbed for separate meters and electric is wired for separate meters . Second meters needs to be installed. Seller is arranging for 2nd PECO meter. New buyer to arrange for 2nd PGW meter after closing. PGW says it takes 9-12 weeks and want new owner to start process.